Welcome to Mama's Chalet. 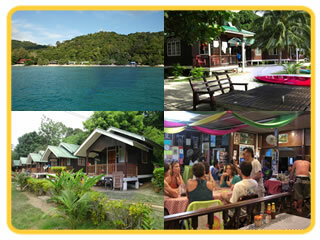 Discover the fascinating and mesmerizing Perhentian Island while enjoying your holidays at Mama's Chalet. 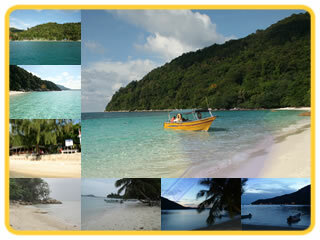 We are located at Perhentian Besar Island, which is around 35 to 40 minutes from the Kuala Besut Jetty. Take your evening with your family with the nice condition outside the chalet. We provide the place for you to take rest under the tree to let you feel the village sorround. You could also have physical activities like jogging, and walking around the chalet area. While enjoying your holidays at the Perhentian, you will also enjoy viewing multiple natures view such as sunrise, sunny day, dawn, and nice night view at the sea side. During the night, you could enjoy your dinner at our restaurant that offer you multiple choices of food at the reasonable price. Just come, sit, order, and enjoy your dinner. The coconut tree leaves will always singing as long as the wind blow. We sure that you will enjoy the sea view at your satisfaction. Enjoy the Malay wooden house with the village condition. Look at the design of the house that is simple and unique. 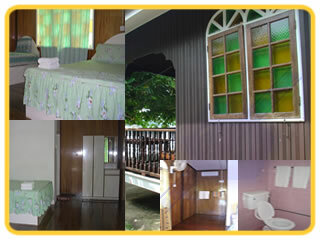 We have Family room, Deluxe Sea View, Deluxe Garden View, and Standard Garden. Each room has design to make our guests feel like staying at their own home. We have rooms with air-conditioner, and fan. We always make sure that the rooms are in clean and tidy to let you feel calm.